Recently, I had a very vivid dream. Although I dream often, it is seldom that I wake up because the dream is so realistic that it startles me. However, on this particular night, I awoke feeling overwhelmed with the presence of God. I had tears in my eyes and a deep sense of joy in my heart. In my dream, I was standing in the back of one of the smaller churches on the Kentucky District. There weren’t a lot of people there, maybe twenty. A storm was brewing outside, and thus heavy dark clouds were lingering. Because of the storm clouds, there was very little light shining through the sanctuary windows. The windows weren’t typical stain-glass mosaic like we see in many churches, but rather various panes were tinted with assorted colors. Normally sunlight made its way through the windows and illuminated the sanctuary beautifully. However, on this particular evening, there wasn’t any light shining in due to the thick clouds looming over the building. Thus, the room was dimly lit except for one bright light over the pulpit where the Bible lay open. As the pastor got up to preach he stood behind the pulpit unable to speak for what seemed to be several minutes. Suddenly, he was overcome by the presence of the Holy Spirit in a very visible way. Tears streamed down his face; he wasn’t weeping because he was sad, but because he was overwhelmed by the obvious presence of God. Abruptly, the presence of Jesus swept through the entire congregation. This manifestation was so palpable that it felt like He was literally walking through the room. No one could see Him, but His presence was so tangible and exhilarating that it felt like we could. I realize that sounds perplexing, but it’s the only way I know to describe it. Within a few seconds, everyone was on their feet with their hands in the air. Some made their way to the altar, laid facedown in a posture of humility, and began repenting aloud. This too sounds strange, but they repented joyously. As they confessed their lukewarmness it was like a great burden was instantly being lifted off the church. Others stood in the aisles with their hands in the air expressing honor and adoration to Jesus with loud voices. The praises, weeping, and expressions of elation grew louder and louder. It sounded like the praises of far more than twenty people. The building shook as the thunder reverberated through the rafters. Flashes of lightning sent various shades of light through the colorful sanctuary windows. The pastor was finally able to speak. However, all he kept saying, over and over with a loud voice, was “Holy, holy, holy is the Lord God Almighty; the whole earth is full of His glory” (Isaiah 6:3). I was trying to capture this experience on video, but I couldn’t get my phone out of my pocket. All I could do was stand with my hands in the air, tears streaming down my face, and praise coming from my lips. The entire room was overwhelmed by the manifest presence of the Holy Spirit. It was beautiful and frightening at the same time. It felt like a scene out of the Bible, and it was happening in one of the smallest churches on the district. There we were, a small group of people, in a small room, in the middle of a storm, praising and encountering God in a very intimate way. All of a sudden, the dream ended and I woke up in the middle of that powerful display. I wanted to go back to sleep and continue dreaming, but I couldn’t. So I grabbed a pen by my bedside and made a few notes so I wouldn’t forget what I had just experienced. I’ve thought a lot about my dream since that night. What was the significance of it? What did it mean? What was God trying to tell me, if anything? After much prayer, the following is what I believe to be true. The Lord is doing a new work, here and now. It is not new to Him, but it is new to our generation. He’s calling us to a deeper place of intimacy with Jesus. 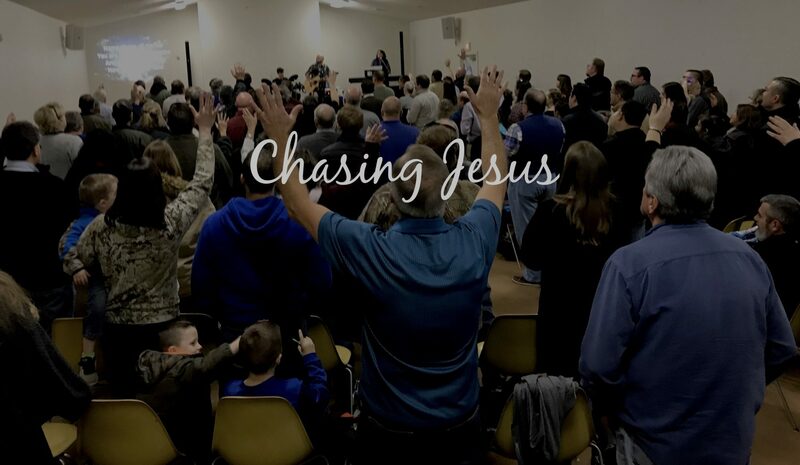 It doesn’t matter how big or small a congregation is, what matters is their desperation, faithfulness, and willingness to seek Him with all their heart. In fact, the smaller a congregation may be, the fewer distractions they may have to contend with to experience His glory. When the Holy Spirit falls in a fresh way it will change everything about what it means to gather in the name of Jesus. People will be forever marked by regular encounters with the Living God. When this begins to happen people will become image-bearers, temples of His glory on display for the world to see. As people begin to bear the glory of Jesus the world will be drawn to Him. In this God will be very pleased, because that’s what we were created to be in the first place: image-bearers. This excites me so! I long for a revival. Having grown up in church I’ve been through many revivals, but there was very little change in any of them. I’ve read about revivals like The Asberry revival in the 70’s. They didn’t call an evangelist. No special singers. No planned events. Just a few students with a hunger for HIM. I’m ashamed I’ve not had such a hunger, but I want such a hunger! Let’s pray together for God to do it! Yes! Let’s pray! God bless ya brother! I’ve had thoughts that meaningful dreams like those recorded in the Bible were a thing of the past. This changes my thinking. Thanks for sharing! A problem I have, but am working on it, is that when I feel the presence of the Holy Spirit and then look around and see people whose expression looks like they could not care less, I lose a blessing. But sometimes I don’t care about what’s happening around me – I enjoy the precious Holy Spirit! I’m praying for His presence here in Murray to bring city-wide revival and renewal.